We can identify your Flea infestation problem in the Bristol area, let us help remove your flea pests from your home. Once a Bristol flea infestation takes hold in your home it is very difficult to break their reproductive cycle. Other wildlife will bring fleas into your living area, often without you realising the threat. A fox in your garden can drop fleas that find their way onto you when you hang out the washing. Once carried inside your home they will find their way to your pets and begin feeding and breeding. 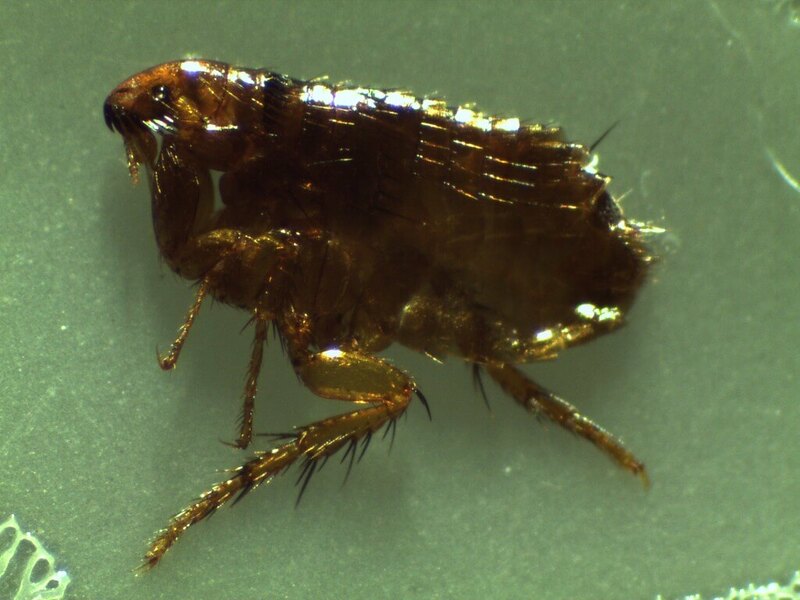 Flea bites are itchy and if found on a human this usually indicates a large number of fleas have already bred in your home. Fleas much prefer cats and dogs. Flea eggs can lay dormant in cracks and floorboards for up to two years. Then as soon as heat or vibration passes within close proximity of a flea egg a flea can hatch in seconds and jump on to a host. If you spot a flea, this is usually because they are slightly docile after first hatching, otherwise they are too fast and not around when an itchy bite mark is discovered. They often use humans to transport the flea pest from place to place, rarely staying on the human for long periods of time. Pinch a flea quickly the first time you see it and dont let go of your pinch until you have the flea in a bowl of soapy water, where it will drown. What can we do to exterminate your flea pest situation around your home residence? Maintain a healthy, regular preventative flea process for your cats and dogs. Use vet advised flea shampoo or parasite tablets or Spot On. Also please be aware that Bristol cat Fleas can become immune to shop bought preventative insecticides, like Frontline. Our discreet professionals will hit these pests hard and fast in your home through ULV fumigation & fogging and will guarantee a flea free home upon completion of our treatment cycle. Our products are human safe, pet safe, and even child safe, baby safe & pregnant woman safe.